Once again as almost twenty seven years ago, NATO is faced with a deep-seated, soul searching existential issue. Call it an urgent internal threat. That’s right, not from an invasion by foes. It faces losing its very relevance, or purpose as an organisation in the world. During the cold war it managed to do all three. Afterwards however, it engaged in military operations in the Balkans ( which destroyed Yugoslavia), central Asia (and failed to stabilise Afghanistan) and Northern Africa (Libya bombing campaign). But in the post-cold war period its main mission of keeping American troops in Europe, while protecting a somewhat humbled Germany, has been as challenging as maintaining a bellicose stance with the former Soviet foe. I am referring to its current perceived rival, which today is a resurgent or re-assertive Russia on the global scene. 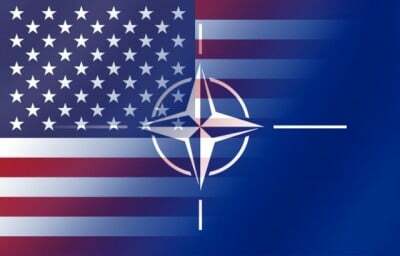 With Trump calling for a reassessment of US commitment to NATO, the alliance is faced with an urgent need “to keep the Americans in”, while at the same not allowing for Germany to take over as the protector and guarantor of peace and stability on the continent. Naturally, Germany is relatively prosperous and can well pay its way in the Alliance. It can perhaps also be the new primus inter pares within the alliance. Is Berlin prepared to assume the cost of its own defence, and also take the lead in fostering a collective defence for Europe within the EU? Such a scenario of course, would be unsettling, if not worrisome, to both the U.K. and France. Not to mention the horse and pony show NATO conducts in the Baltic region. Ukraine and Georgia are on standby status (that is they are taxiing but not ready for take off to Brussles) to join NATO as well. Despite all this militaristic bravura there is definably an element of overstretch within the military grouping, and the US (mired in debt and faced with an ongoing economic crisis) is starting to feel overburdened by the Alliance’s ever growing family of “free-loaders”. Hence, we see the anti-NATO rhetoric coming from President elect Donald Trump. Some say Trump is an isolationist and this intended pullback is harmful to America’s standing in the world. In my view he’s a pragmatist. NATO if it in not to become “obsolete” as Trump says, must re-define itself, by submitting itself to a “strategic haircut”. Its members must pay more for membership (in terms of reaching 2 percent spending on defence which some are unwilling to do), and it has got stop expanding further eastwards. Ideally, NATO should disband completely as it is an “outdated” a relic of the cold war. New threats are on the horizon such as Jihadist and state sponsored terrorism, uncontrolled mass migration into Europe abound. Defeating these global scourges doesn’t seem to be in NATO’s purview or “mission statement”. Just goading the Russians, without re-examining the costs to overall European security and stability of this senseless strategy, won’t keep the alliance going for much longer. And the election of a new American president like Trump, isn’t helping its perpetuation either.